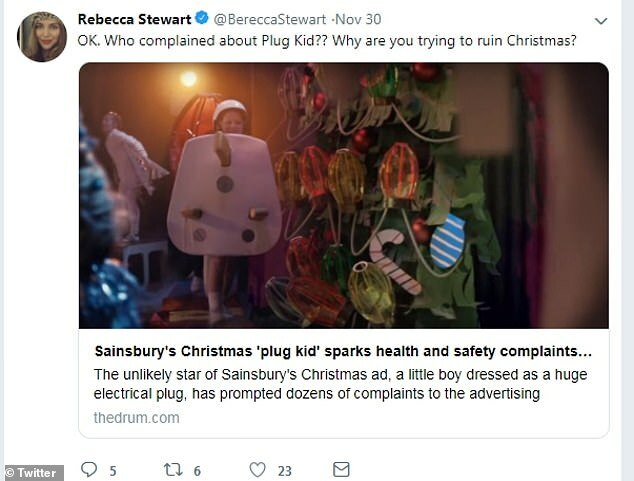 The new Sainsbury’s Christmas advert featuring the unlikely hero ‘plug kid’ has sparked more than a dozen complaints to the advertising watchdog over health and safety fears. 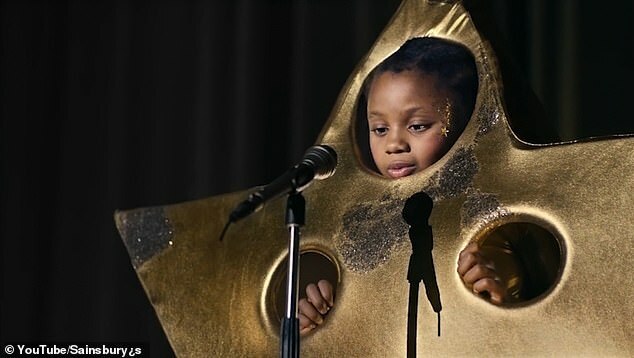 The festive advert titled ‘The Big Night’, which sees eight-year-old Tia Isaac perform a festive take on the New Radical’s You Get What You Give, has now led to a series of complaints to the Advertising Standards Authority (ASA). 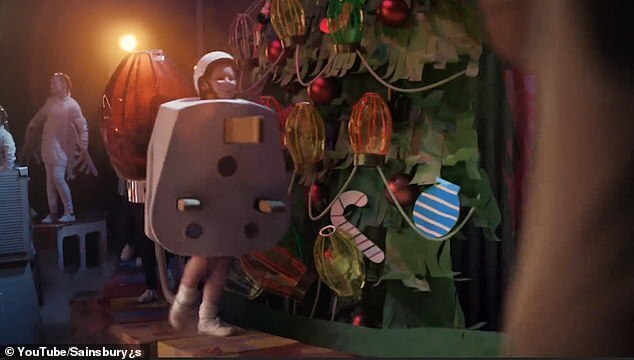 The complaints were prompted by the surprise star of the popular advert- a ten-year-old boy dressed in a gigantic electric plug costume. 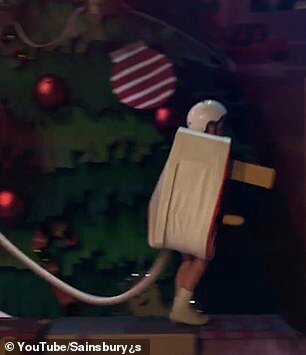 The heartwarming musical advert sees schoolboy Harrison Wilmot, dressed as the electrical appliance, launch himself into a plug socket to turn on the Christmas lights. Harrison’s moment of fame left fans gushing when he first appeared on screen and even generated a new hashtag on Twitter #PlugLife. 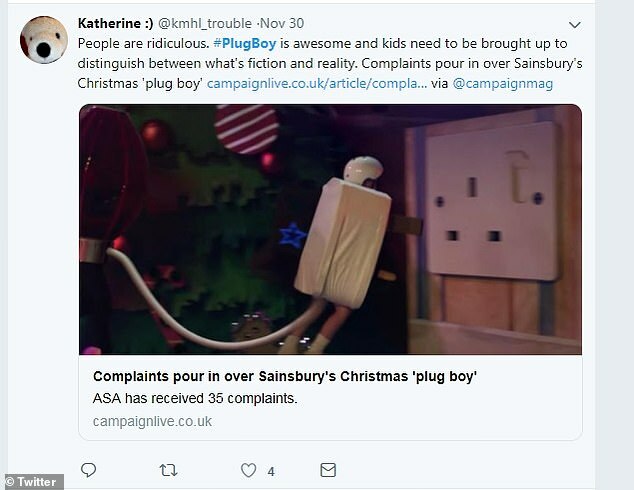 However it has now been revealed by The Mirror that the ASA received 35 complaints from disgruntled viewers slamming the advert over fears it will encourage children to play with sockets. The watchdog is now investigating the matter. 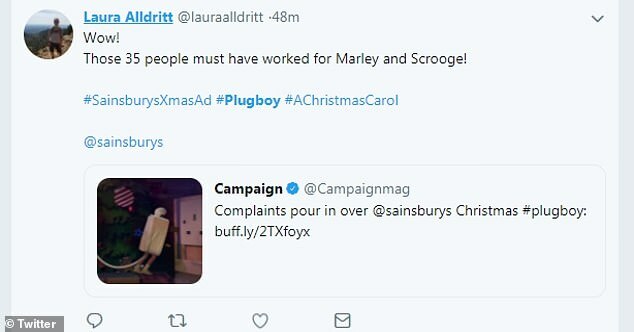 After The Drum first reported the fury surrounding the new festive advert more fans have taken to Twitter to share their frustration. The Big Night, directed by Michael Gracey, brought schoolchildren from across the nation to perform a musical number to the 1998 hit song You Get What You Give.